InSanity lurks Inside: Six Flags America- 2014 Plans Leaked? 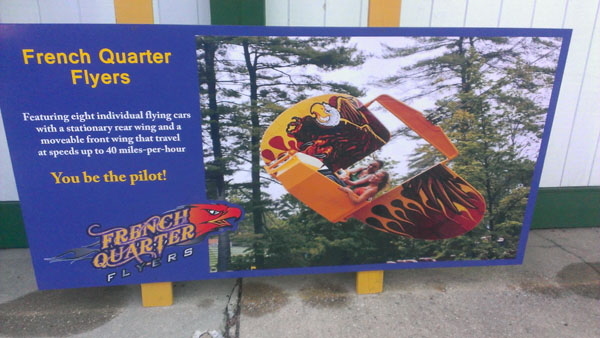 Six Flags America- 2014 Plans Leaked? Not sure if this was suppose to have a big announcement for Six Flags or not but the cat is out of the bag when it comes to Six Flag's America's 2014 additions. If the spy network over at Screamscape is to be believed, today new signs went up at Six Flags America, located in Upper Malboro, Maryland today. 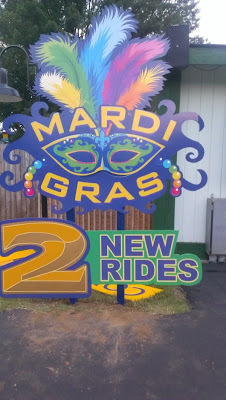 These new signs proclaim that the new area will be themed "Mardi Gras" which to my odd mind, doesn't send the best idea considering the state they left their park "Six Flags New Orleans" in after Hurricane Katrina (it left a lot of bad feelings for SF to many people). 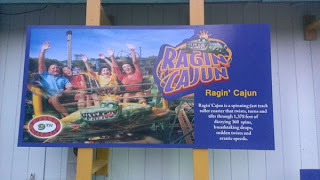 The new area is going to play host to 2 new rides, including the moved 'Ragin' Cajun' which I believe, will be coming from it's sister park Six Flags Great America. 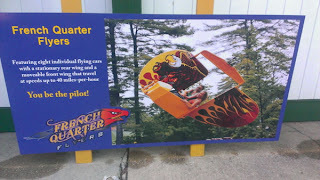 The second of the two rides is rather a surprise, a new Flyer called "French Quarter Flyers" will be placed in the park. This is the second new flyer announced in as many days. I'm very pleased to see these classic attractions returning to parks rather then being removed!